Augustus Marketing – Page 2 – Keeping you in the know! Below are some tips and examples of what to wear. First impressions can only happen once, so make it count! For men and women, all clothing should be well fitting, in good condition and wrinkle-free. Shoes should be neat and clean. No more than three pieces of jewelry should be worn in the office. For women, makeup should be natural. For women, all skirts and dresses should hit at the knee or just above the knee. For men, shoes and belts should match in color. However, business casual differs from business professional in several ways. Socks should match and cover ankles. Men should be clean shaven and facial hair should be neatly trimmed. No athletic wear is acceptable for business casual attire. Darker colors should be worn on top and light colors underneath. Women should wear close-toed heels with 1 or 2 inch height. Men should wear dress shoes with dress socks that match. Men should also make sure their belt matches their dress shoes. Men should wear a tie that touches the top of their belt. All front facing pockets should be empty. No athletic wear is acceptable for business professional attire. Remember, you don’t need to invest a lot of money on a suit or a new wardrobe. The main thing to focus on is looking your personal best! Once again, a new year is upon us. For many this means a new start and a clean slate. Whether you aspire to be healthier, more productive, or simply be a better person than you were last year — there is no better time to start than now. It is inevitable that some will fall back into their old ways and fail to stick to their resolutions. However, here at Augustus, we strive to be better in 2017. While many resolutions consist of going to the gym more frequently, reading more books, or eating healthier, it is important to understand the difference between resolutions and goals. Resolution: A firm decision to do or not do something. Although resolutions and goals are similar, they are also very different. Choosing to make a resolution and failing to stick to it can be very discouraging. That is why here at Augustus we encourage our team members to not just set goals, but to set SMART goals. SMART goals are: Specific, Measurable, Attainable, Realistic, Timely. Who is involved in this goal? Where will this plan have the best chance of succeeding? When do you want to accomplish this? Do you need to set several times to check your progress? If so, write it down so you can be sure you’re keeping up with it. Why do you want to accomplish this goal? What is your purpose or intent? M – Make your goal measurable to ensure you can keep track of your progress. A – The goals you make for yourself should be attainable and clear. R – Make sure your goals are realistic so you have a sure chance at reaching your goal. You must be willing and able to reach your goal, so don’t set the bar too high! T – Give yourself a timeframe to accomplish your goal. Having a set time to reach your goal will motivate you to work harder within the specified timeframe. Although it may seem intimidating to set goals for yourself this year, setting SMART goals will make it easier for you to track your progress and reach those goals Try it! 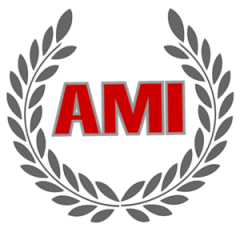 Here at AMI our morals and values center around our team and creating a great culture of learning and openness. We have developed an open door policy and keep an open bullpen area so all team members can work together, learn together, and help each other continue to grow together both professionally and personally. Coaching from our management and leadership team is a daily occurrence here at AMI. The first thing new team members notice and mention is how friendly our team is and how hel pful everyone is in the office. Our goal is for our newest teammates to feel as much a part of our work family as our most veteran teammates! We strive to have that family like environment in our office and look for new team members who will fit in right in line with the current team! As a team, we not only work together but we play together too! From work conferences to weekly office functions to outings on the weekends we have developed true friendships with those we work with daily. We love to go out and try new restaurants, play sand volleybal l, and explore new areas of our city. If someone in the office suggests something new we are always willing to try it out and for that very reason a different person gets to plan a weekly office outing every week. Teams who sweat together, stay together! Augustus Marketing in the Windy City! This past weekend AMI attended a leadership conference in Chicago! The conference provided a chance to network with other business professionals and learn new ways to keep Augustus Marketing on top. In addition, we shared goals, information about recruiting and discussed aspects that contribute to a great leader. able to walk around millennium park, visit the giant bean and indulge in deep dish pizza! All in all, AMI learned how to continue to build a better business and the importance of leadership. Everyone is happy to be back in the office utilizing the skills they learned! Augustus Marketing Excelling in September! The month of September was extremely busy and exciting for Augustus Marketing. After announcing Jeffrey Crawford’s promotion, things began to take off. Taking on the new Cleveland market, we were sad to see him leave, but excited for the things he will accomplish on his new journey! 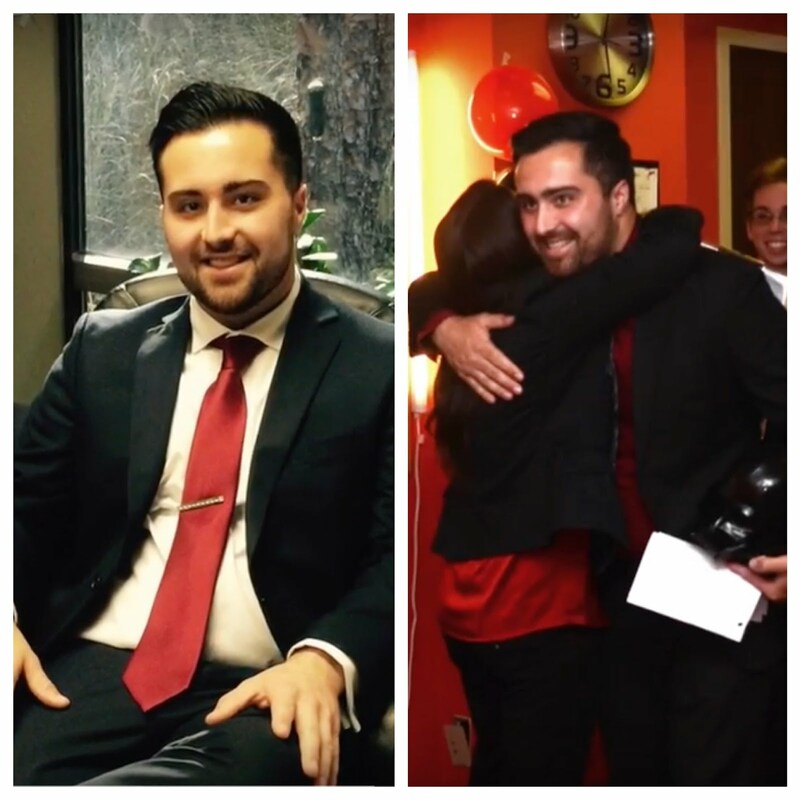 Jeffrey was not the only individual to take his career to the next level within Augustus Marketing, Bradley Hashim also earned a major promotion within our company. He was promoted to Assistant Manager and also earned a trip to Los Angeles with Cody Shrimplin. They both brought back exciting tips to keep our company sharp and at the top of our industry. In addition, we celebrated the promotions of our newest Junior Partners, Thomas, James, Eli, Brennan, Chris, Clayton and Sean. Because we love to have fun, we also took time to eat cake for our September birthdays! Chris, Jewelia and Austin are now one year older. The last even to take place was the business conference in Atlanta, Georgia. Our president, along with top performing junior partners, had the opportunity to listen to several business speakers and received tips to help Augustus Marketing continue to excel. September was a month to remember and we can not wait to see what October has in store! Augustus Marketing Travels to Los Angeles! From August 29th through September 3rd, our Assistant Manager, Bradley Hashim and Top Performing Junior Partner, Cody Shrimplin, earned the opportunity to travel to Los Angeles! 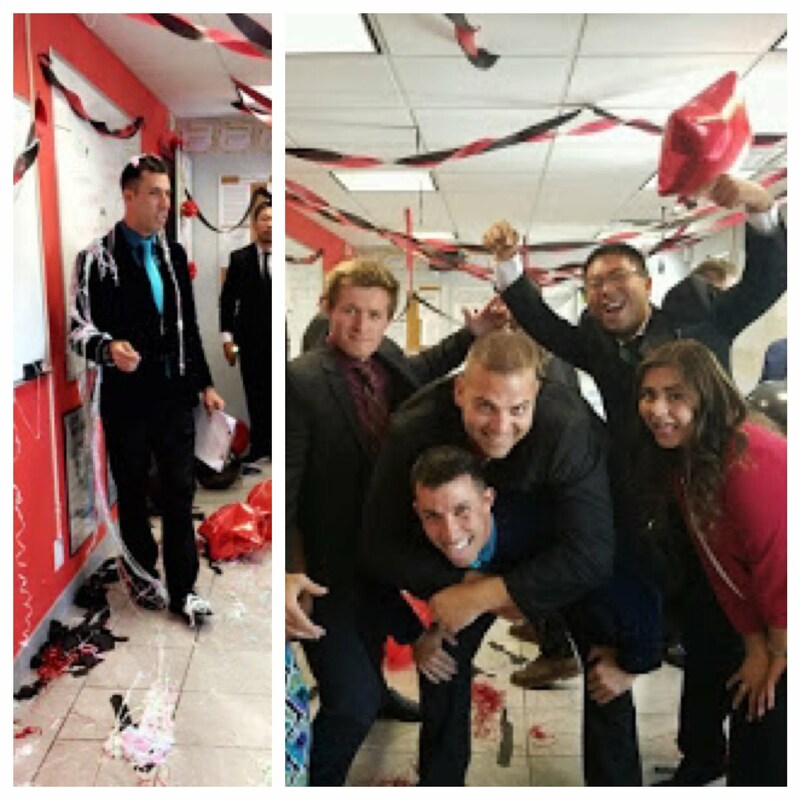 While in California, they toured one of the largest marketing outsourcing companies in the country. After returning from the trip, both stated that they learned so much, especially the importance of what they do for their clients. We are glad to have Bradley and Cody back in the office utilizing the skills they learned! Augustus Marketing new management promotion! Augustus Marketing would like to congratulate Jeffrey Crawford on his prom otion to management! He will be running our newly opened office in Cleveland. From day one he had the intensity and constant desire to learn and compete. With hard work and dedication he was able to pass up those who had been there longer than him. Jeffrey states that it takes a competitive edge, hard work, constant learning, consistent results, reliability and tenacity in order to achieve his position as president in the new Cleveland office! We are excited to see how quickly this new location grows with the impressive team taking on the new Cleveland market. We sent our best so let’s see what they can do. Embarking on a new journey is always a combination of intimidating and exciting, but mostly exciting! New city, new adventures! “We are ecstatic about our expansion into Cleveland. The passion Cleveland residents have for their city and teams in amazing and we can’t wait to become a part of such a great community!” – Jeffrey Crawford, President. Augustus Marketing Inc is an independently owned sales and marketing firm located in Columbus, Ohio. They specialize in outsourced promotional sales and new client acquisition for Fortune 500 companies within central and northwest Ohio. Why outsource to Augustus? There are several advantages of contracting sales and marketing work to Augustus Marketing including cost efficiency, a strong local presence and speed to market, and a track record of success with proven results and awards given. Research has shown that one of the most effective way to market a company or product is by creating a relationship with the customer and presenting information the old-fashioned way: with a firm handshake and a smile. Augustus Marketing takes a simple approach to business by speaking directly to clients’ customers and present information in a personalized, face-to-face manner. This allows immediate and measurable results while creating a positive and lasting relationship with the consumer. They achieve success in meeting clients’ customer acquisition goals by creating a culture of opportunity within a team-oriented, positive environment, making Augustus a win-win situation for clients and employees alike! Augustus Marketing has high ratings of excellent service and on top of that they have expanded twice in the last year, taking on new clients and markets, done extensive philanthropy work for the community, had several promotions and team growth, and won awards recognizing the great work they have done for their clients. To find out more about Augustus Marketing Inc visit the website. Augustus Marketing’s CEO, Chris, shares his thoughts regarding the NBA Finals Game 7. I am a huge fan of sports, as a whole, and have been since a very young age. Although I am yet to realize my goal of playing in the NBA, that has not decreased my love for the game. The culmination of this years season with last night’s game seven was an absolute gem of an ending. Here’s are my takeaways for sport, business, and life, from last night’s game. My teammates and friends know clearly where I stand on the LeBron vs. MJ debate (MJ 6-0 in The Finals, winning the MVP in all six). However, last night LeBron James led the Cavs to history. In case by some miracle you haven’t yet heard, the Cavs are the first team in NBA history to overcome a 3-1 Finals deficit to take the series. No team led by Michael, no team led by Magic, no team led by Kobe, Bird, Russell, or Wilt ever accomplished that feat. Everyone who works at Augustus Marketing, Inc. has heard me talk about the difference between the best player and the best teammate. The comeback speaks volumes about LeBron’s growth and development as a teammate. And while LeBron’s 3-4 record is no match for Michael Jordan’s 6-0 record in The Finals, his three MVP awards certainly put him in elite company. As a business owner, I watch the postgame interviews from two different perspectives: a fan who purely enjoys the game, and a business man looking for lessons, any insight into what it takes to be truly great. For me, Tristan Thompson’s postgame interview provided the most knowledge. When asked about his role on the team, and why he was so willing to do the “dirty work,” his response was simple and honest. To paraphrase, “Every team is like a puzzle. Each piece is unique. My piece is the dirty work.” Whether in sports, business, or life, each successful team is made up of unique elements. Team success becomes a reality when each piece, each teammate, truly embraces its rule and takes it on with eager excitement. “The Golden State Warriors went to their second consecutive appearance in the finals with a rematch against the Cleveland Cavaliers.The Warriors went to a 3-1 advantage but the Cavaliers made a comeback to tie the series at 3-3, and in Game 7 the Golden State Warriors lost in their own homecourt.” As many have asked throughout the media coverage ensuing the Cavs victory, “Where was Steph down the stretch? What happened?” Kevin Love, Kyrie Irving, and Tristan Thompson have all been praised at length for the clutch contributions down the stretch of the last night’s game. At the pinnacle of Coach John Wooden’s Pyramid of Success lies Competitive Greatness, which is to “Be at your best when your best is needed. The enjoyment of a difficult challenge.” Safe to say, Competitive Greatness was at the core of Game 7, and on display down the final stretch of the fourth quarter. For more information follow us on Twitter. How are you? How is the family? How is business? What are you doing these days? If you ask a series of questions without waiting for a response it is more of an interrogation than a conversation. Ask gentle, not too probing, questions and you will show you’re interested. Asking someone about themselves gives them the opportunity to help the conversation get going. Being a great conversationalist is as much about leaving out stuff, as it is about putting enough details in. No one likes to be overwhelmed with detail about the breakfast your cat ate that morning. If you see the other person’s eyes glaze or suspect they may be doing a closed-mouth, face-expanding yawn, you might be putting in too much detail. If you find something funny (and it’s not their appearance), then say so. People appreciate humor and if they don’t, maybe you need to be talking to someone else! To see more things to use as ice breakers, follow Augustus Marketing on Tumblr.